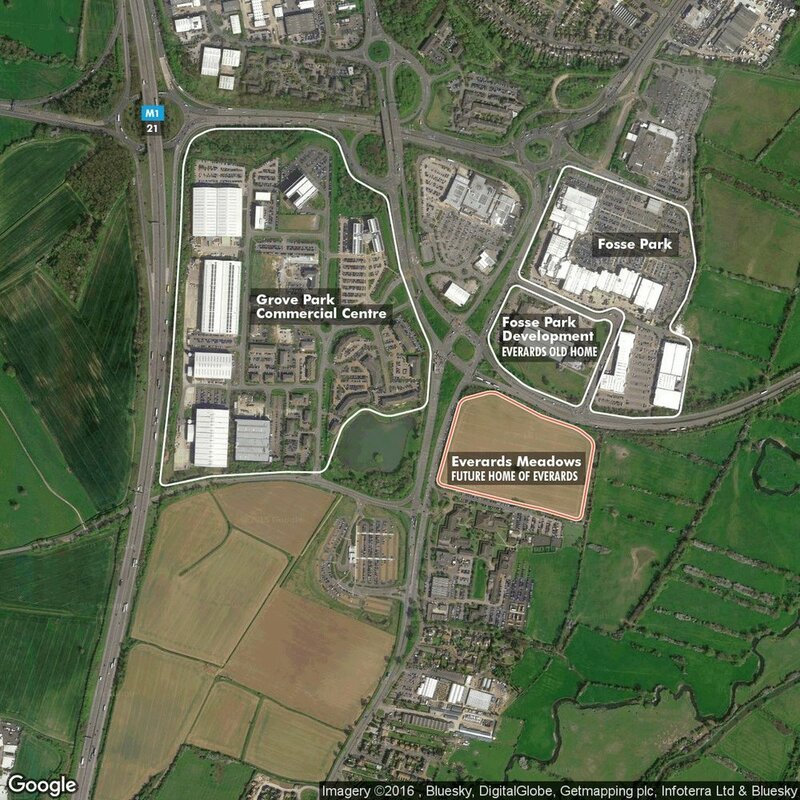 Everards Meadows will be an exciting new food, drink and leisure development next to the expanding retail park Fosse. just off Junction 21 of the M1. We are Everards of Leicestershire, a local independent family business founded in 1849 who builds relationships with business owners and communities. We are leading the development as we will be making this our new home, relocating our brewery, offices and creating an inviting beer hall which will be open to the public. Everards Meadows will feature 11 acres of built land which will include a 10,000 sq ft Rutland Cycles store. Rutland Cycles are also a local, family business and will be offering a range of cycling services as well as the opportunity to buy or hire – perfect to explore the 70 acres of green space which will include cycling and pedestrian walkways which link to the national sustrans and Leicester City Centre. An 1800 sq ft café will be built to provide a great offer for the many customers and occasions that will take place at Everards Meadows. Find out all about Everards Meadows from Managing Director, Stephen Gould. The site is well located close to the road network, with a link to the national sustrans pedestrian and cycleway enabling easy travel into the City of Leicester and it’s close to Fosse. which is also due to expand.